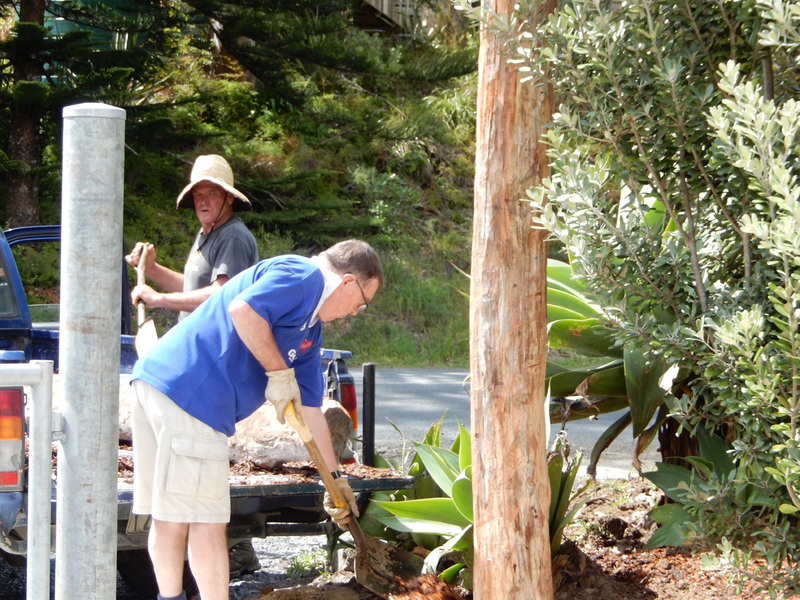 MAZ had a very successful working bee today. 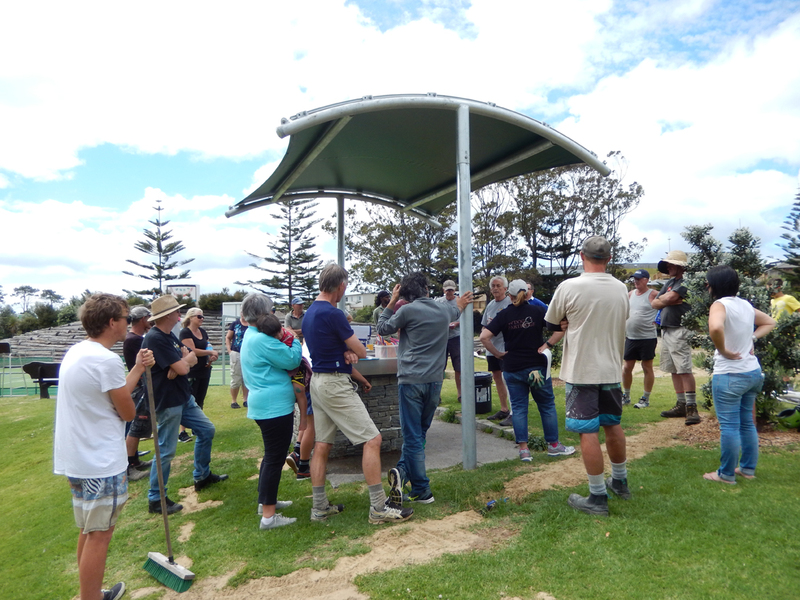 The advertisement on the big blackboard fronting Molesworth Drive works well to get the word out to the community, and a group of about 30 people came out on a Sunday morning to help tidy up and maintain our park. A huge official THANK YOU to all those who gave up Sunday morning to work in MAZ. The park is now looking beautiful and tidy in time for summer. Two of the longest standing MAZ committee members, Dave Smith and Warren Stott. 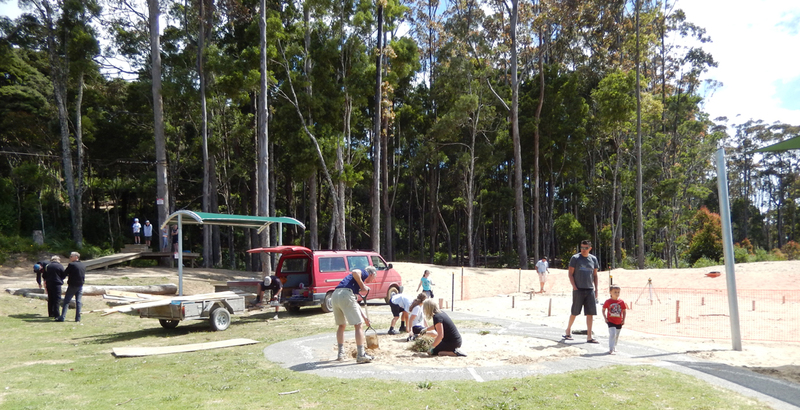 These guys have given hours of their time over the years to help build this park. Helping out again with mulching. 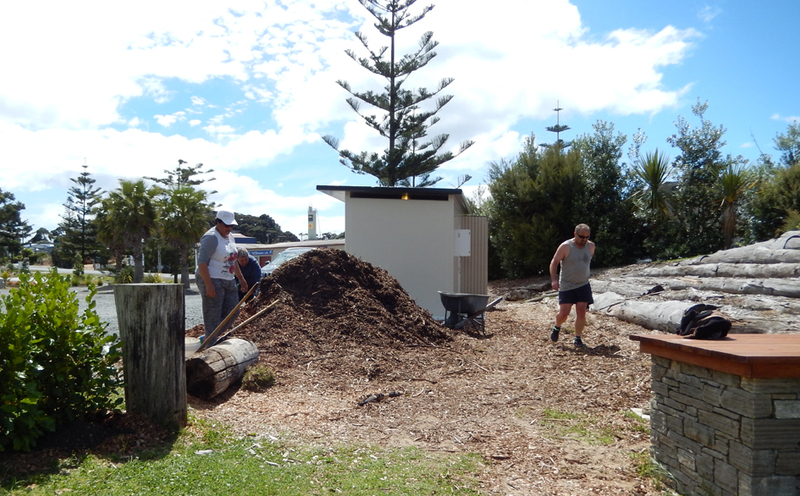 Big piles of mulch were distributed throughout the park, protecting plants from the summer heat to come. 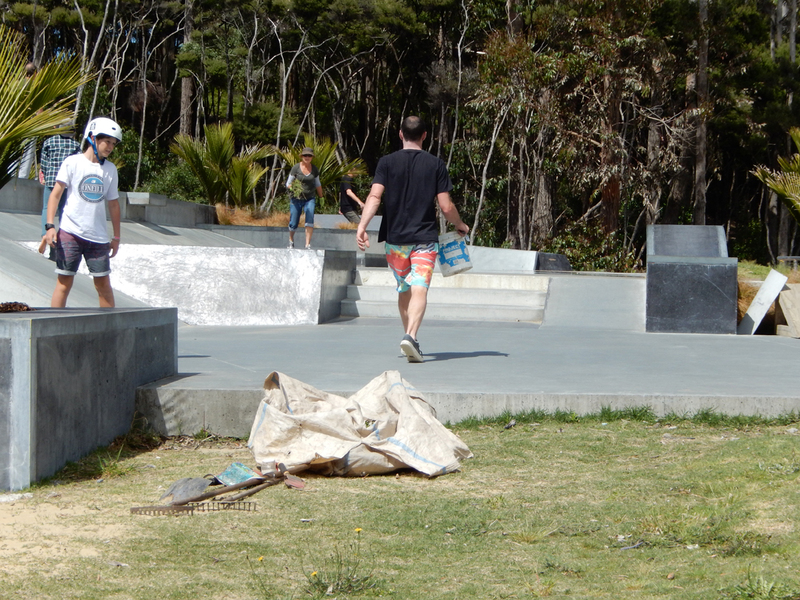 Mulch being delivered by wheelbarrow to the pantings in the skate park, working around the many kids skating and scootering about. 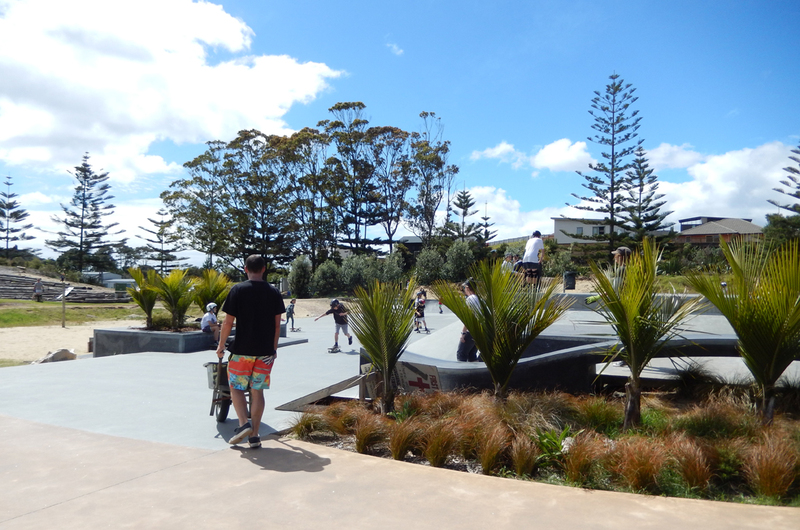 Rhonda and Aaron mulching and weeding the planters in the skate park. Thanks guys! 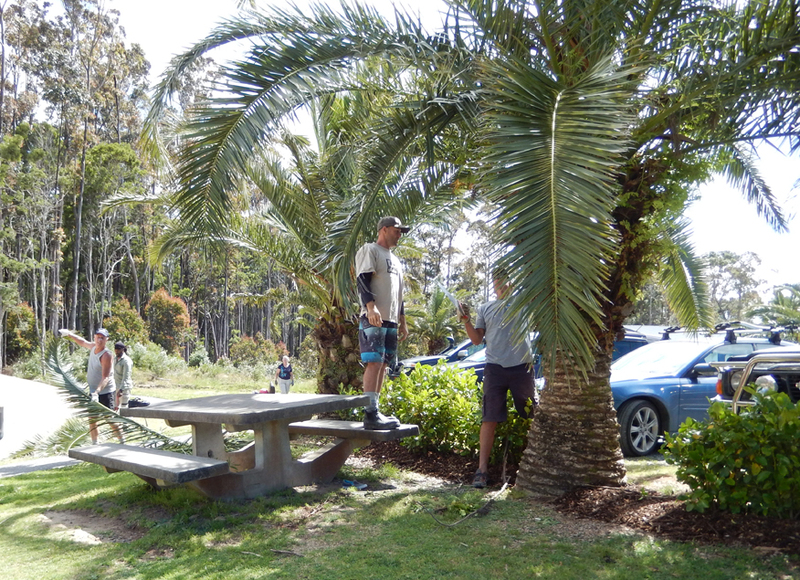 Men At Work, trimming Pheonix Palms. This is heavy work. They now look very tidy. Many hands make light(er) work. Weeding and edge trimming around the snake pathway is a never ending job at MAZ. Working bees are the time this job gets done really well. Sausages for everyone afterwards, our chairman Colin gives a quick “thank you” speech. This entry was posted on Sunday, November 13th, 2016 at 12:34 am. It is filed under Events, News. You can follow any responses to this entry through the RSS 2.0 feed.